Whether you end each day binge-watching TV until the wee hours, or you drink a kale smoothie before hitting the hay promptly at 10 p.m., your daily routine will certainly affect your ability to achieve your goals. While hitting the snooze button until 20 minutes before you absolutely have to leave for work may feel a little more comfortable than jumping out of bed at 5:30 a.m., this habitual procrastination may be costing you. Not only are you more likely to forget something important in your rush out the door, but you start your day already feeling like you're behind and out of control. It's difficult to start tackling work when you're still rubbing sleep out of your eyes, am I right? This is why nearly 50 percent of wealthy individuals get up at least three hours before their workday starts, according to Tom Corley, author of Change Your Habits, Change Your Life. Having that extra time in the morning gives you the opportunity to plan your day, exercise, or work on a side project — all of which will help you get in the right frame of mind to get to work once you get to the office. We all know that we should be exercising, but just because we know that breaking a sweat is necessary for good health doesn't mean we do it. However, Corley found that 76 percent of wealthy people make sure they spend 30 minutes or more every day on aerobic exercise. How many times have you stood in front of your bulging closet wondering what to wear to work that day? While it may seem like a luxury to have lots of choices, it can often lead to decision fatigue, which is when you use up your brain's limited bandwidth on several smaller daily decisions, making it that much harder for you to figure out the right choice on bigger decisions. This is why many wealthy individuals have voluntarily chosen to eliminate decisions in their day. For instance, Facebook CEO Mark Zuckerberg admits to owning 20 identical gray T-shirts so that he doesn't have to think about what to wear each morning. Similarly, Apple's Steve Jobs was famous for his uniform of black turtleneck and jeans. Adhering to these personal uniforms allowed these extremely influential men to focus their attention where it belongs — on the growth of their products. Zoning out while playing Candy Crush may feel like a sort of Zen state while you're in the midst of a game, but it's hardly going to offer you the kind of stress-reducing relaxation that meditation can. For one thing, you'll never fall prey to an in-app purchase in a moment of weakness while meditating. For another, meditation offers everything from improved cognitive functioning, creative thinking, and productivity, to better physical health — none of which you'll get from a rousing round of smartphone gaming. Reading has a number of excellent brain benefits, and incorporating a routine of reading a book at bedtime is far better for your sleep health than scrolling through Facebook or Instagram on your phone. 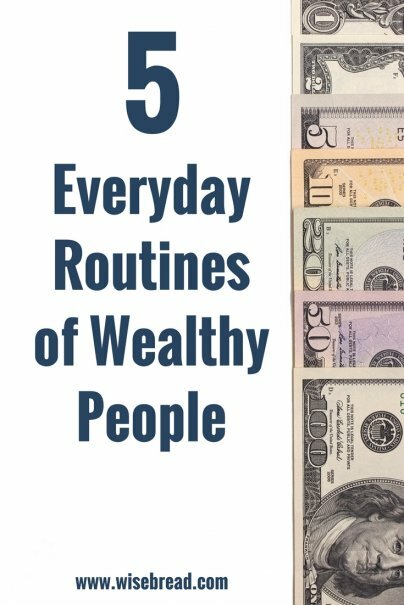 Having a beneficial daily routine is not a shortcut to riches. Instead, it helps foster the proper circumstances you need in your life to reach your goals and live the life you want.